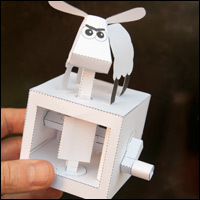 The disagreeable sheep uses a version of the Flip Flop mechanism and is coming to a computer near you soon! 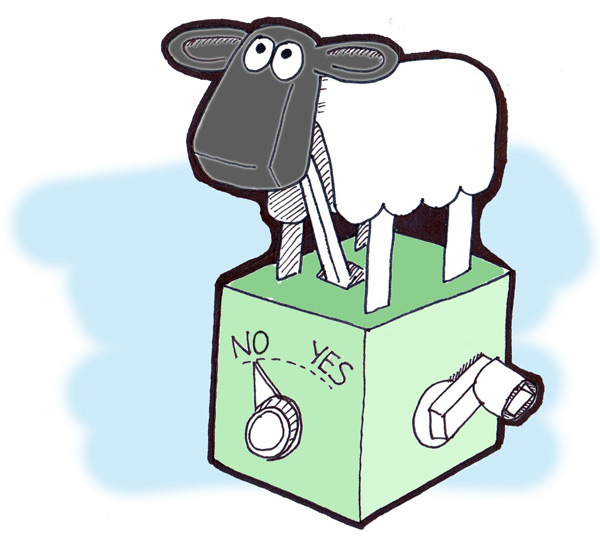 The next logical step is the indecisive sheep. This would be a challenging mechanism! 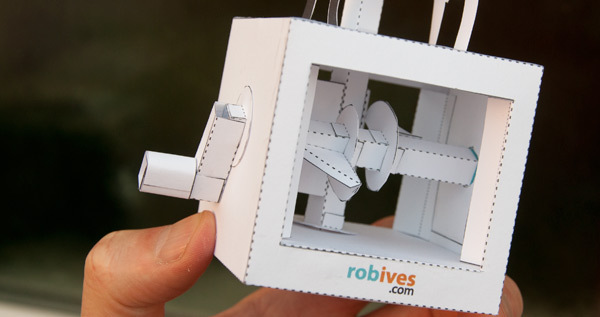 Turn the crank and she either nods or shakes her head depending on the position of the dial on the front of the box. Could be interesting! 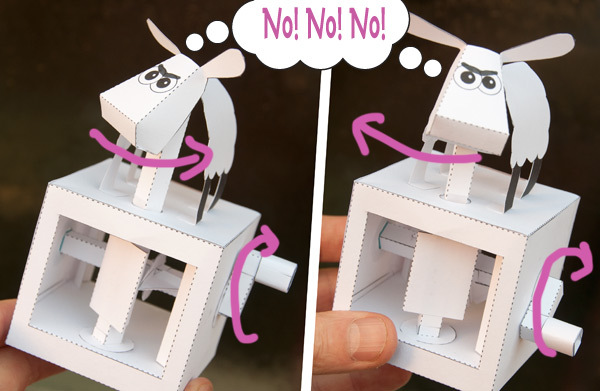 Another possibility, perhaps even better, turn the handle continuously and the sheep gives three nods then three shakes then three nods… properly indecisive! I don't think this is a good mechanism to make… Oh wait perhaps it is. I'm so indecisive! Can't wait till I get it… I think. Yes, definitely black. I love the indecisive angle. I love all three!